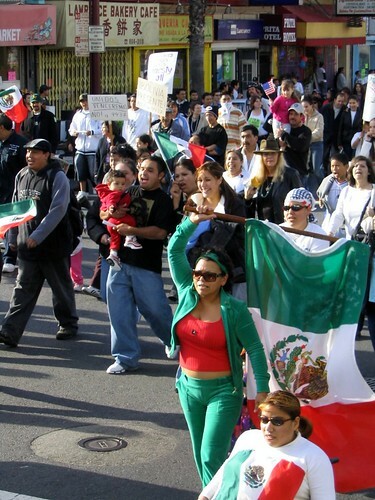 Recall the very first mass illegal-alien protest marches, back when the House passed HR4437 that called for enforcement of our immigration laws? 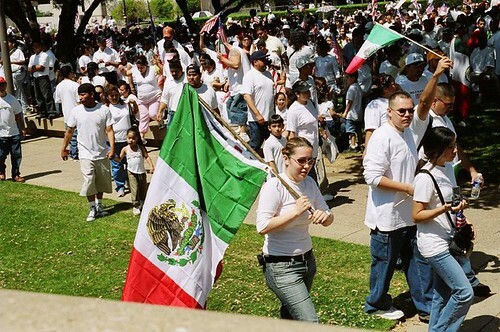 On the first day of big, carefully-organized (what Democrats now call "astroturf") protest marches, hundreds of thousands of people carrying protest signs, Reconquista posters, Mexican flags, etc., clogged streets in major U.S. cities, trying to get Americans to open the borders, quit enforcing immigration laws, and give the illegals U.S. benefits. The reaction was the opposite of what they expected: Americans took it as evidence, in living color and sound, of the invasion of the U.S. by foreigners that has been occurring for the last twenty years. Legislation to grant amnesty (aka "a path to citizenship") for the illegal aliens, was resoundingly defeated as huge numbers of Americans called and wrote to their Congressmen. 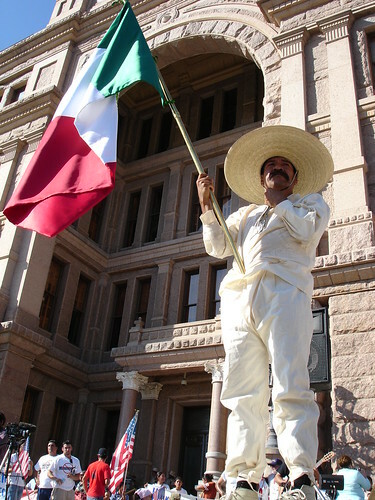 The very next day, word was passed quickly through the various groups brought to the downtown areas: Lose the Mexican flags and Reconquista slogans, and put up American flags instead. DON'T LET THE AMERICANS KNOW YOUR REAL DESIRE OR INTENTIONS. And literally overnight, the Mexican flags and hostile signs disappeared, Now cameras showed nothing but American flags. It was a startling transformation from what the people in the streets had been doing and saying just 24 hours earlier. 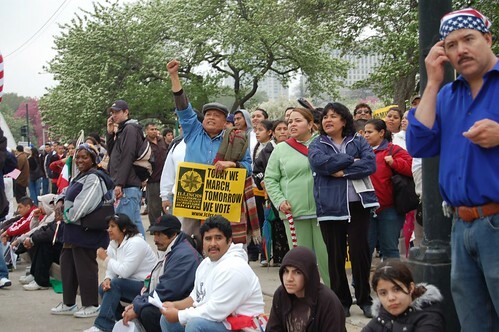 Will the protestors for tomorrow's May 1 demonstrations, and the coming Cinco De Mayo protests, remember the lesson they learned so quickly and so well, years ago?